When you want to live a healthy lifestyle, you will grow curious as to how to eat healthy. When you begin at one end of the street, it must be a transition to get to the other end. It is important to obtain the knowledge necessary to be able to eat healthy. Your mind, body, and emotions must also adjust to the changes you will be making. I believe it is important to have complete compassion for yourself. After all, you wouldn’t force someone else to eat a certain way, would you? A healthy meal plan is very much up to you. It is a very individual experience based on your health goals and the lifestyle you are looking to achieve. Not every glass slipper fits every foot; however, there will be one that works for you when you explore, research, and dig deeper into who you are as a person. You might even be surprised at what your healthy meal plan looks like as your healthy changes come to fruition. 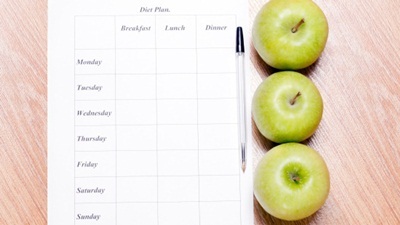 Here’s what I think an ideal healthy meal plan should look like. It also important that your macronutrients contain the right micronutrients your body needs, including fiber, vitamins, and minerals. If you are deficient in particular nutrients, supplements can also complement your diet; however, it is best not to rely on them. It is best to consult a nutrition professional to help guide you through the process to give you the peace of mind that you are doing it right. After all, you don’t want to be taking supplements your body may not need or there might be something that works better. Whole foods such as fruits, vegetables, whole grains, legumes, nuts, seeds, organic meats, poultry, and fish should be part of your healthy meal plan. Drinking water is also VERY important (a minimum of eight 8-ounce glasses of filtered water daily). Essential fatty acids are also important for good health and they can be obtained through organic cold-pressed oils like extra virgin olive oil, avocado, ground flaxseed, fish, and omega-3 supplements. Trans fats (hydrogenated oils), and limit saturated fat intake to organic meats and organic dairy products. Homogenized, pasteurized, vitamin D-fortified dairy products. Food additives such as preservatives and artificial flavors and colors. Genetically modified (GMO) foods. Common ones include anything with soy, canola, and corn. Food or drink from the microwave. A toaster oven or tea kettle are healthier heating methods. I am making healthy meal plan suggestions based on experience and holistic nutrition education. I also understand that these are just guidelines and the healthy meal plan you choose should primarily be based on what works for you. It is a continuous journey to achieve your healthy meal plan and it is very important to listen to the clues your body tells you. The ability to listen to your body is often overlooked when it comes to the right healthy meal plan. Colbin, A., Food and Healing (Toronto: Random House, 1986), 132-141. Haas, E., et al., Staying Healthy with Nutrition: The Complete Guide to Diet and Nutritional Medicine (New York: Ten Speed Press, 2006), 375. “Holistic Nutrition: Feel Great, Increase Energy, Prevent Disease,” Holistic Wellness Basics web site; http://www.holistic-wellness-basics.com/holistic-nutrition.html, last accessed Feb. 28, 2014.